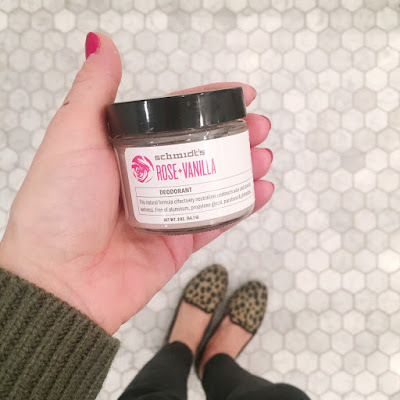 A few months back when I had some ridiculous skin issues going on (I will fill you in on another post) I started thinking about ingredients in beauty products. For the most part we are pretty much organic and natural when it comes to what we eat/drink and our food/produce and for the girls bath/body products but I had never really given much thought into what I was using on my skin! 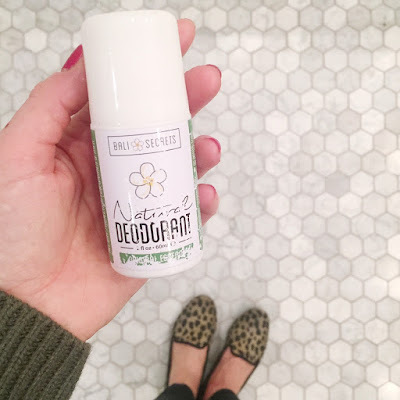 I decided to start with my deodorant; I have been using Degree deodorant for YEARS and while I absolutely love it (no stains, no white marks and NO smell or sweat) I got pretty concerned when I read some of the ingredients - I say "some" because most regular drugstore deodorants don't list ALL their ingredients; which is pretty scary being that I could barely make out the ones they actually listed -- I can only imagine the really bad ones not listed??? I read quite A LOT on this and there are plenty of real scientific studies showing that the chemicals in these products (mainly aluminum, parabens and phthalates) are linked to breast cancer, numerous other cancers, Alzheimer's disease, brains diseases, bone disorders, and disrupting hormonal balance. There is TONS of literature out there but here are two articles I thought were short, clear and easy to understand (the scientific journals can be gruesome to read through). I really liked this article by Time and this one by GOOP that gave some added information and listed products to try. I read many reviews and decided to give a few a try. I tried three different natural deodorants - all were free of aluminum, parabens and phthalates. Here are my thoughts on each one and my WINNER! 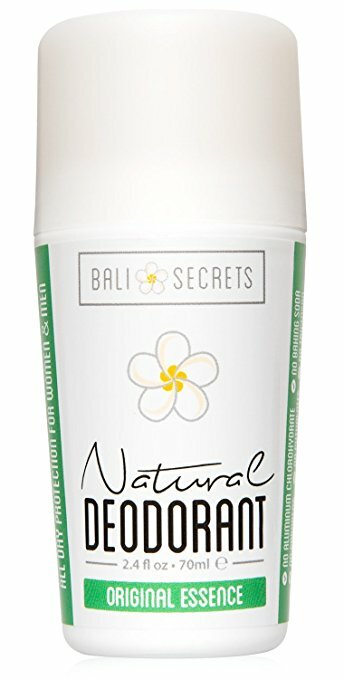 The first one I tried was Bali Secrets (buy here). I wanted to try one that did not have baking soda as an ingredient because I had read many reviews where people got painful looking rashes due to the baking soda (it is used to neutralize odor). 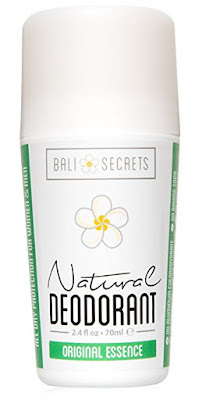 Bali Secrets had a nice smell (although a little too much patchouli for me), it went on really easy (it has a roller-ball top) but it was really wet (its a liquid) and it took a while to dry. But most important, on the days where I worked out or it was stressful at work and I needed some extra protection - It did not work and I smelled! YUCK - no thanks. So because I didn't like having to spread my deodorant on by my fingers I decided to keep on looking for my winner. 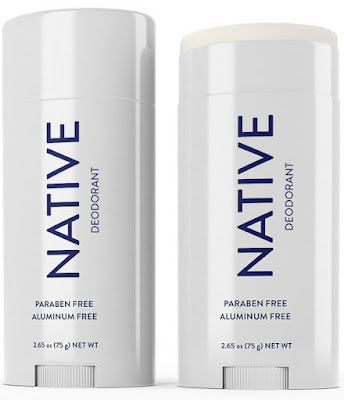 The last one I tried and have fallen in LOVE with is Native Deodorant (buy here). Here is why I love it! 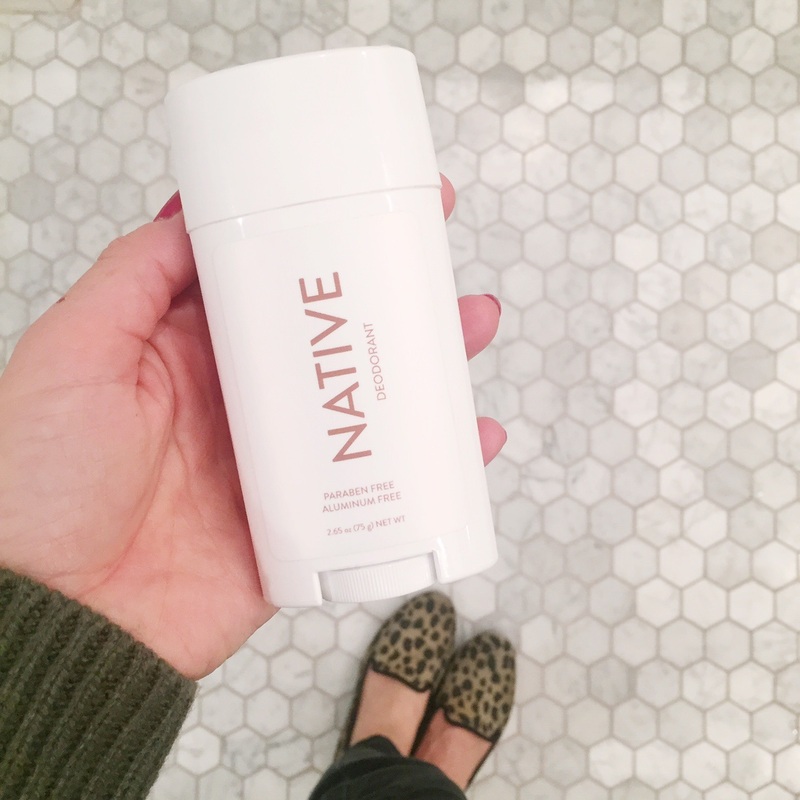 It comes in regular stick deodorant packaging making it not messy, easy to apply and easy to travel with. 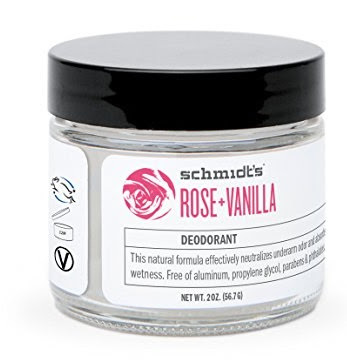 It comes in six yummy scents including an unscented one AND a baking soda free one (for those with very sensitive skin). I have used this on my crazy hard workout days and it WORKS! I don't smell and I don't have sweat running down my arms (sorry if TMI). I also didn't get a rash from the baking soda so maybe it doesn't have as much in it as the other one did? It is a little thick but as soon as you start rubbing it on, the heat from your underarm helps it soften and glide on easier. I also think this is the best "unisex" choice out of the ones I tried. So what do you think? Are you willing to ditch those chemicals, love your skin and organs and try some natural deodorants out? B-love you never disappoint. 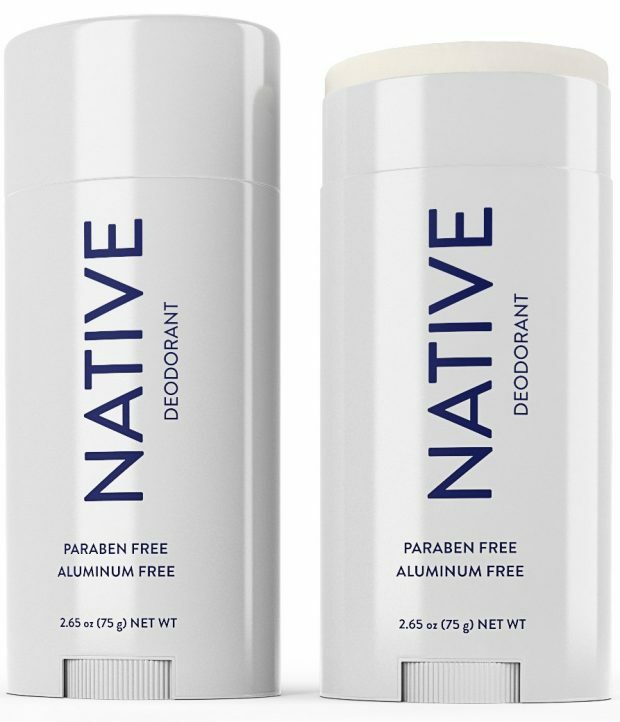 I've been looking for a good deodorant, as I too worry about the chemicals. I'm buying this last one you love!! Thanks so much for doing the research! !